Please read Part I and Part II for an introduction. In Parts I and II, we saw how a polynomial kernel was probably a good way to tune an SVM. Also, there was no single degree parameter that was necessarily better than the others. 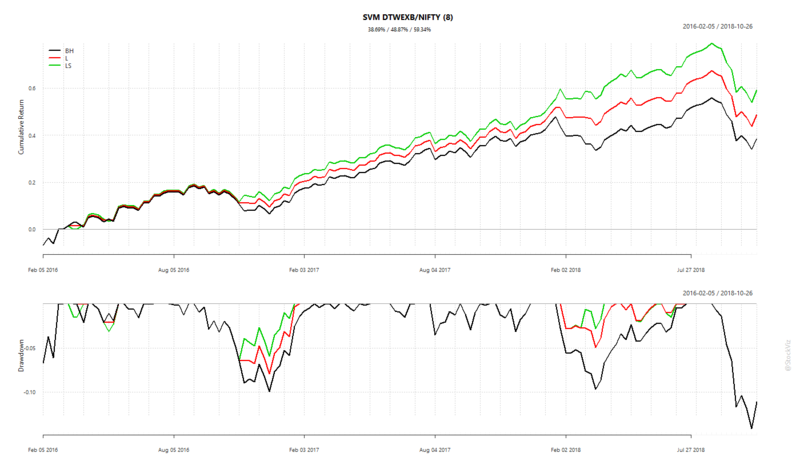 In this post, we train three different polynomial kernel SVMs on two other dollar indices (DTWEXB and DTWEXO) and USDINR (DEXINUS) and tabulate their returns over the two different datasets and across different degree parameters. We modeled DTWEXM in Parts I and II. Here, we model the rest. 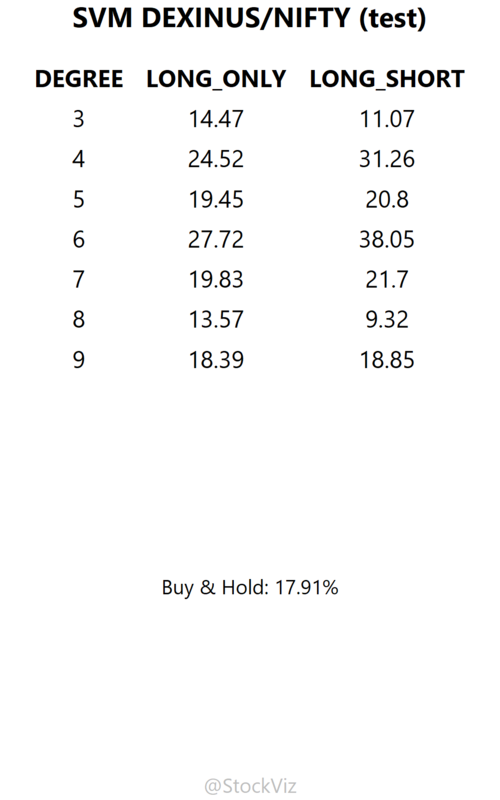 Given the results above, we can ignore DTWEXO going forward. Surprisingly, DEXINUS (USDINR) does not predict the 2018 correction. 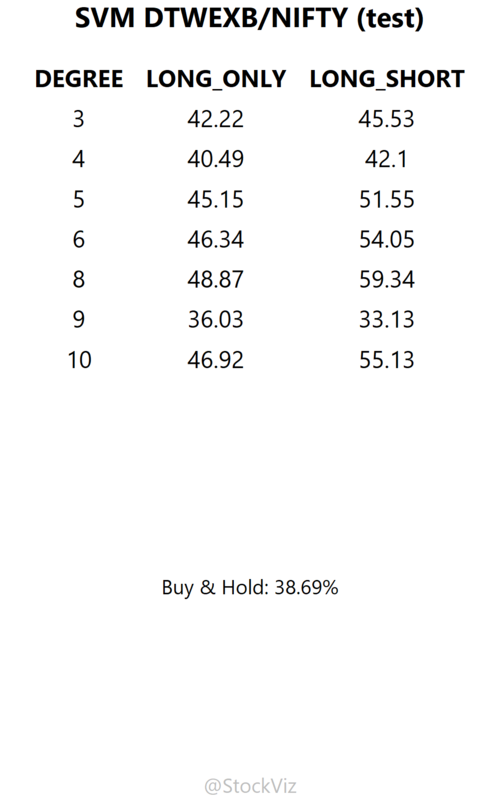 In fact, the DEXINUS model using the 2005-2018 dataset replicates buy&hold. Hence, we will ignore DEXINUS as well. The SVM modeled on the 2005-2008 dataset using DTWEXB with degrees 5, 6 and 8 seem to have side-stepped the 2016 and 2018 corrections. 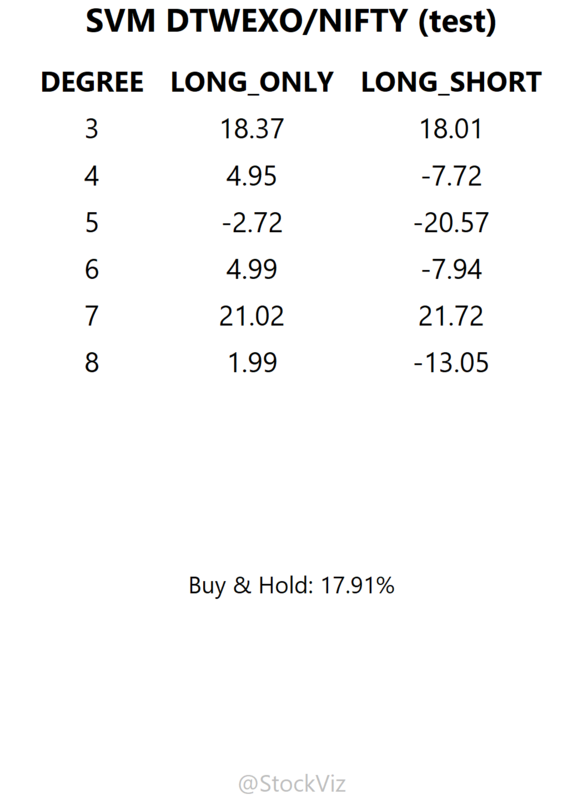 Furthermore, degree 8 seems to have produced the best cumulative returns on the test set. Our observation from Part II was that a 2005-2018 dataset is probably a better set than 2000-2018. This is confirmed from the DTWEXB model above. 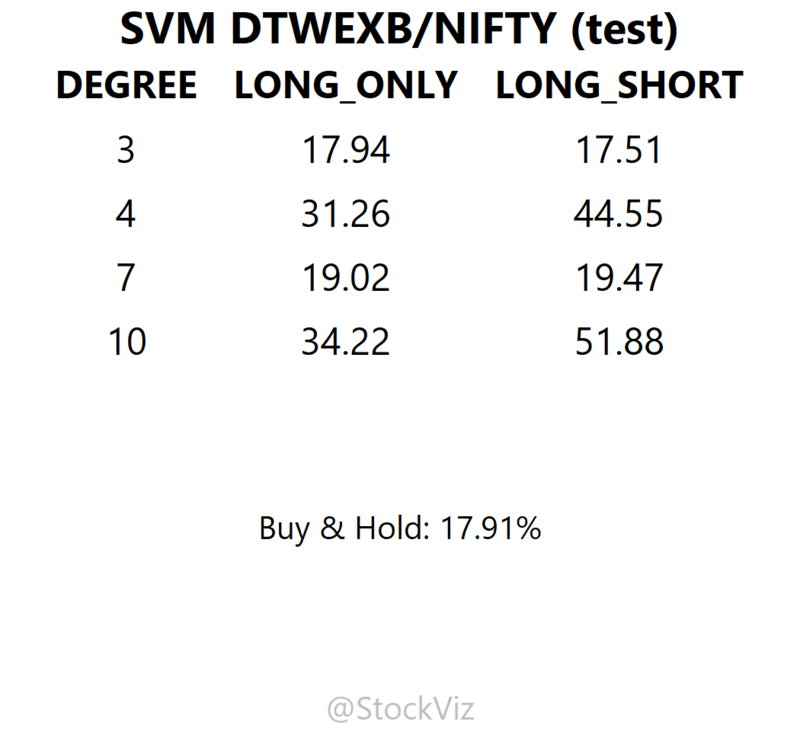 In the next post, we will combine the DTWEXB(8) and DTWEXM(4) SVM models using the 2005-2018 datasets.